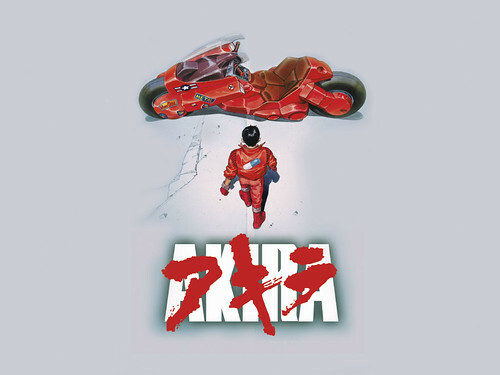 PennsylvAsia: Akira at Pittsburgh Anime Film Series, February 5. Akira at Pittsburgh Anime Film Series, February 5. The film depicts a dystopian version of the city of Tokyo in the year 2019, with cyberpunk tones. The plot focuses on teenage biker Tetsuo Shima (Nozomu Sasaki) and his psychic powers, and the leader of his biker gang, Shotaro Kaneda (Mitsuo Iwata). Kaneda tries to prevent Tetsuo from releasing the imprisoned psychic Akira. While most of the character designs and settings were adapted from the original 2182-page manga epic, the restructured plot of the movie differs considerably from the print version, pruning much of the last half of the manga. The film became a hugely popular cult film and is widely considered to be a landmark in Japanese animation. The film is being screened in conjunction with a special exhibition of original production art from the film, running throughout February at the ToonSeum. The screening will be followed by a lecture on Akira by film writer Joe Peacock, owner of a number of the pieces on display in the exhibition. The other movies in the series are: 5 Centimeters Per Second (Byōsoku Go Senchimētoru, 秒速5センチメートル) on February 11, Memories on February 18, and Summer Wars (Samā Wōzu, サマーウォーズ) on February 25. They're free, and they're held on the campuses of Pitt and Carnegie Mellon University. More details available at the series' official website.